While Windows 8 upgraded and introduced new ways to restore and refresh your PC, Windows 7 still relies on some good old-fashioned methods to get the job done. 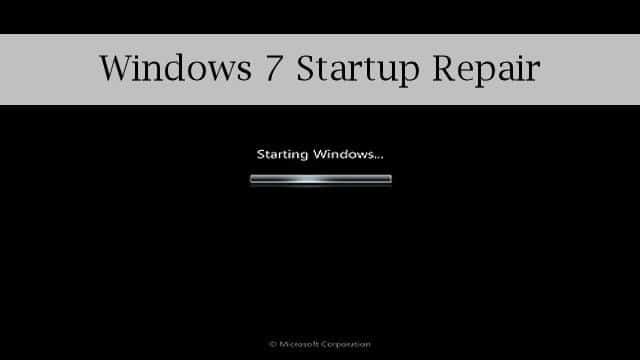 If your PC won’t boot or has issues starting up, running startup repair in Windows 7 can fix whatever issues have popped up. Startup repair in Windows 7 works similar to how automatic repair works in Windows 8, albeit a bit slower. Windows 7 will automatically run startup repair if it detects any issues during the booting cycle that would prevent the PC from finishing the process. If you need to run startup repair yourself, you’ll need a Windows 7 startup repair disk or the installation CD you used to install the OS, to begin with. In order to proceed, you’ll need your Windows 7 installation CD or a system repair disk. Otherwise, the only way to start this type of repair is for your PC to do it automatically during boot. Startup repair in Windows 7 can be a useful tool for users, but keep in mind the following before we continue. If your computer is having any of the issues startup repairs can’t help with, you’re wasting your time trying to use it. You’ll want to refer to other methods to restore, recover or refresh your PC. We have written extensively about all these methods – please use the search box at the top right of our site to look for required information. If you’re ready to boot into system repair on your own, insert your system repair disk or installation CD, then turn off your PC completely. It is imperative before you run startup repair, if possible, to make sure you have system recovery or backups saved. If you still have access to your PC and it boots properly, take the time to backup what you can. While startup repair will attempt to fix issues with your PC, depending on the issue, you may end up with an unbootable system, a loss of files or having to restore your PC to factory defaults. Without the proper backup and recovery tools, you may not be able to recover what you’ve lost from issues startup repair can’t fix for you. Wait about 30 seconds, then power on your PC. Once you’ve ensured you’ll boot to your CD or DVD drive, your computer will see the system repair or installation disc and proceed to run it. If you’re using a system repair disc, this gives you immediate access to the System Recovery Options for Windows 7. Click “Startup Repair” to continue. Click on “Repair your computer” in the bottom left-hand corner of the installation window. Windows 7 will run the startup repair option and scan your PC for issues pertaining to how it boots. If any issues are found, Windows 7 will attempt to correct them and keep you updated on its progress. During the process, you may be asked to make decisions on how Windows proceeds or your PC may restart on its own. This is normal. If Windows can’t fix an issue with startup repair, you’ll be alerted to it at the end of the scan so you can research it further to try to fix your computer. When the scan is complete and you start looking at the logs, you can restart your PC. Remember to take out the CD or DVD or else your computer will try to use it to boot again. You also will want to change your BIOS settings back if necessary. Keep in mind that it can take two to three runs of the system repair tool in Windows 7 to correct all issues. We recommend running it at least twice, see how your OS does, and then running it a third time if necessary for maximum results and repair. Remember that startup repair is only available to fix very specific issues with your Windows 7 PC. It’s not foolproof, can take multiple times to fix the primary issue and may not work at all. Make sure you always have recovery media available, take advantage of any backup solutions you find necessary and perform regular maintenance on your PC to keep it healthy. Only by taking an active role in your computer’s health can you keep it running at full speed with Windows 7. Previous articleWunderlist Vs Any.do Vs Toodledo Vs GQueues: Which One Qualifies as the Best GTD App?